Selling a home is almost never a completely easy or straightforward process. The first step is to get people interested in taking a look inside of your home, which is why your home’s curb appeal is so important. First impressions can mean everything, which means you could be scaring off potential buyers if your home’s approach and exterior aren’t up to snuff. Here we’ve listed a few tips for boosting curb appeal in order to attract more potential buyers and get the maximum asking price. The fact that the exterior of your home will be the first thing that potential buyers see means you should do everything you can to make sure its appealing. Boosting curb appeal is one of the best ways to sell your home quickly, and it can also potentially increase your profits from the sale. For this reason, it’s important that you take the time to view your home’s exterior as if you were a visitor seeing it for the first time. It may also help for you to take photos, as this makes it easier to examine everything in detail and pinpoint both the best and worst features of the exterior and the overall property. After doing this, you should make a list of any problem areas or unattractive features that could possibly put off potential buyers. Of course, there are a huge number of possible changes or updates you could make, but here are some of the basic things you should definitely consider. It is important that your home’s exterior and your yard are clean and tidy in order to attract sellers. This means using a pressure washer to clean dirt and grime off your home’s siding, driveway, decks, patios, and walkways. You should also make sure to kill any mold or mildew that is present anywhere on or in your home, roof, driveway or elsewhere. Washing your windows, cleaning out your gutters, and stowing away any yard or garden tools will also improve your home’s curb appeal. 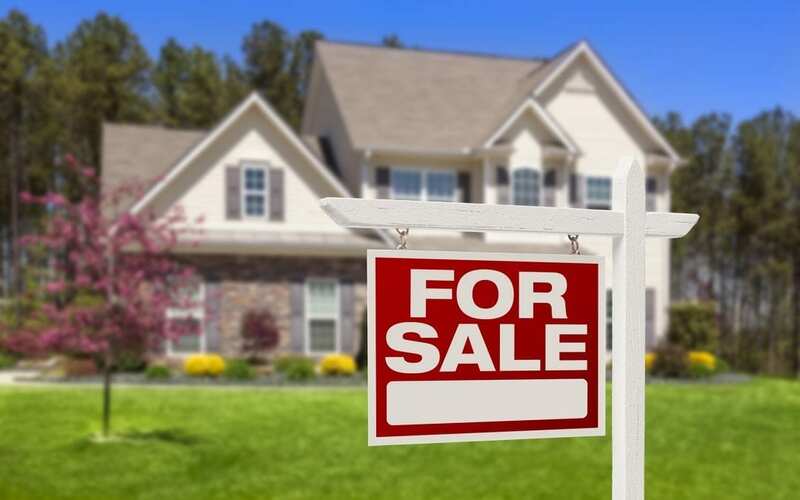 Keeping your grass mowed and weeds trimmed are also important when trying to sell your home, as potential buyers will find a home with a neat and tidy lawn more appealing. It’s also a good idea to remove any weeds or other vegetation growing between bricks or in cracks in concrete, and you might also want to consider edging your lawn. If selling during the fall, you’ll want to make sure you regularly rake up any leaves from your lawn. Repainting the trim around your windows and doors, replacing any broken or missing siding and performing other basic repairs can go a long way toward boosting curb appeal. In fact, not only can these simple tasks improve your home’s appearance, replacing your siding or repainting your home’s exterior may even be able to improve your home’s total value. Aerating and fertilizing your lawn can help ensure your grass is healthy and green, but you may want to consider taking your landscaping a step or two further. Planting flowers, bushes, and other plants are easy ways to boost curb appeal. Similarly, adding a few lights around the property ensures your home looks appealing during the evening as well. Ultimately, curb appeal isn’t the only thing that will be important to potential buyers, which means that you’ll want to make sure that the interior and every other aspect of the home is in good shape as well. Still, even the most beautiful interior won’t be worth much if the exterior scares potential buyers away from stepping foot inside. Therefore, it is vital that you do whatever you can to ensure your home’s exterior is appealing and entices potential buyers to want to see the rest of the home. If you are selling a home in Central Kentucky, contact your neighborhood home inspector, Michael Green of InspectorUSA, to perform a Pre-Listing Inspection. Gain the advantage over your competition, and avoid surprises revealed by the buyer’s inspector!